Whether you are looking for traditional, transitional, contemporary, or mid-century design, Helen's expertise and attention to detail will go into every aspect of your vision. We strive to create inspired spaces and structures that are strongly rooted in their sense of place and grow from their surrounding natural and built environment. Nancy Evans, CKD, owner of Kitchen Design Consultants, uses 25 years of experience to design your kitchen and bathroom space with the most up-to-date market trends available, from concept to completion. 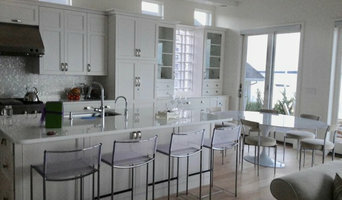 Kitchen Design Consultants believes superb plans lead to superb results. Covering a wide spectrum of styles from contemporary to traditional, we work closely with you until you are completely satisfied. We specialize in originality, functionality and aesthetics. Our step by step, hassle-free contract process begins with taking measurements, followed by a presentation of preliminary designs then your pre-approved final design. Then your pre-approved final design plan, which leads to a completed package of floor plans, elevation, detailed cabinet list and construction plans, is everything you will need to present to a builder, remodeler, or cabinet company to bid your project. Kitchen Design Consultants is committed to providing the most professional leadership, along with a proven track record of ethical business practice. We guarantee your complete satisfaction when it comes to designing your kitchen and bathroom space. D.I Prides itself in delivering creative and unique interiors on time and within budget. Every Project has parameters that can be achieved through communication and understanding the clients goals. Do you envision: - Having a kitchen that maximizes functionality and beauty? - Getting your basement finished/remodeled to utilize existing space options? 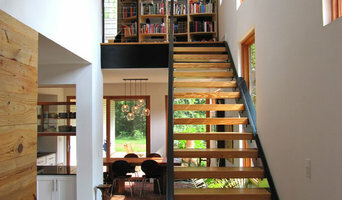 - Adding a room to your home that grows your living area? Neighbors Home Remodeling was established in 2001, and we are here to make your home remodeling dreams come true. Our reputation in the remodeling industry, and among home owners, is that we have the utmost respect for our customers, ensure that their needs always come first, provide top-tier quality work with a nearly fanatic eye to detail, and leave our customers grateful that they chose Neighbors Home Remodeling. Contact us by phone or email, and let’s discuss your project home desires. Your dream. Our passion. We are a creative & innovative architectural firm in Atlanta, Georgia, established in 2006. We specialize in providing thoughtful and detailed solutions to the architectural challenges of all types. Our team at Black Dog Design House forms a full service design firm specializing in creating unique spaces that incorporate our clients personal style and tastes. Come check us out! instagram: @juliehollowaystudio Julie Holloway loves to create unique, artistic and inspirational spaces for clients, both residential and commercial. We just help translate for clients; we feel they already know what they want, and we love to pull that out of them! Julie and her team specialize in mixing wood with metal, warm with cool, high-end with bargains, and old with new. We are a full service Architectural and Interior Design Firm that will take a project from the initial design of a new structure to the installation of accessories and artwork. We are a design-build company set on producing outstanding outcomes. A shiny new finish can be misleading, so we don’t just focus on final appearances. Instead we use a designed-solution approach, with enduring results always in mind. Each step involves people, process, and practice, that all focus on communication, planning, design, and craft. That's how we approach every job at HwRenewal, with pride and passion. - And when we succeed at all of the above, we achieve outstanding outcomes. New Homes: $225,000 to 2 Million. Whole Home Reno’s & Remodels: $130,000 to $500,000. Finished Basements: $25,000 to $200,000. Porch, & Room Additions: $15,000 to $200,000. Kitchen & Kitchen Additions: $10,000 to $65,000, Bathroom & Bath Additions: $10,000 to $60,000. Deck Additions: $5,000 to $50,000 Cost ranges based on a variety of similar projects. Actual costs depend your project’s custom scope. Contact us for a consultation about your project. Established and incorporated in 1995, one specific goal of ours is, and always have been, to gain and retain repeat clients by providing exemplary service with an unwavering commitment to excellence. At VRA Interiors, LLC, we take the time to listen to our clients' needs and expectations, and open our minds to their ideas in order to inspire our work. Re:FORM is an award winning full-service architectural firm specializing in residential design, with a particular focus on historic preservation and sustainable architecture. We are a full service renovation and interior design firm; working to create functional and inviting spaces, which meet the specific needs of every client. Our home furnishings retail store is owned and operated by a talented team of seasoned interior design professionals who are available to support you with all of your interior design needs. I truly believe that no matter what your decorating budget, you can have a home that reflects your personality and lifestyle. I have a full workroom for anything and everything custom. Ron Jones' eye for design and skills with Building Information Modeling software were critical to his team, finishing top ten in the national competition located in Las Vegas. With over 17 years of experience in the carpentry trade, we provide workmanship for the domestic and commercial markets. We insure quality and guarantee satisfaction for our clients and our work. It's not too early to plan for Spring! Now is the time to consider an outdoor living project for your home. A screened porch or deck provides the perfect area to spend time with family and friends enjoying the great outdoors. Atlanta Design & Build is your full-service remodeling company that transforms your home to enrich your life. Our team of qualified professionals ensure your home is ready to help make daily life and entertaining smooth and enjoyable. Typical Job Cost Details: Screened Porches: Start at $100- $150 / sqft With options like fireplace, arches, tile, outdoor kitchen, your home will perfectly reflect your style. Anything is possible! Decks: Costs start at $45 to $60 / sqft for standard materials $60 to $100 / sqft for Brazilian or composite decking materials. Consider stairs, landings, arbor, trellis, railing accents, metal railings, or planter boxes. I like to think of my clientele like family. I want the best for my customers and hope they can trust I will take care of them and their space! From modern to traditional, we do it all! Atlanta based design firm, EK Interiors, specializes in kitchen renovation, bathroom remodeling and creating new living spaces. EK Interiors is your partner for planning your dream home!